Dolphin and King inshore now on 8 hrs. 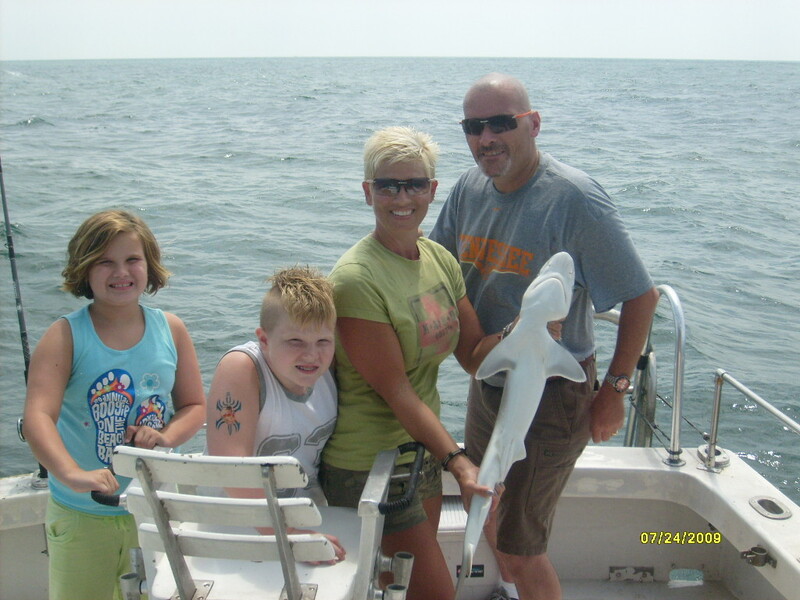 Shark are on the beach now Black tips and others good catches of shrimp to in the net. More sharks for the kids big sharks showing up now. 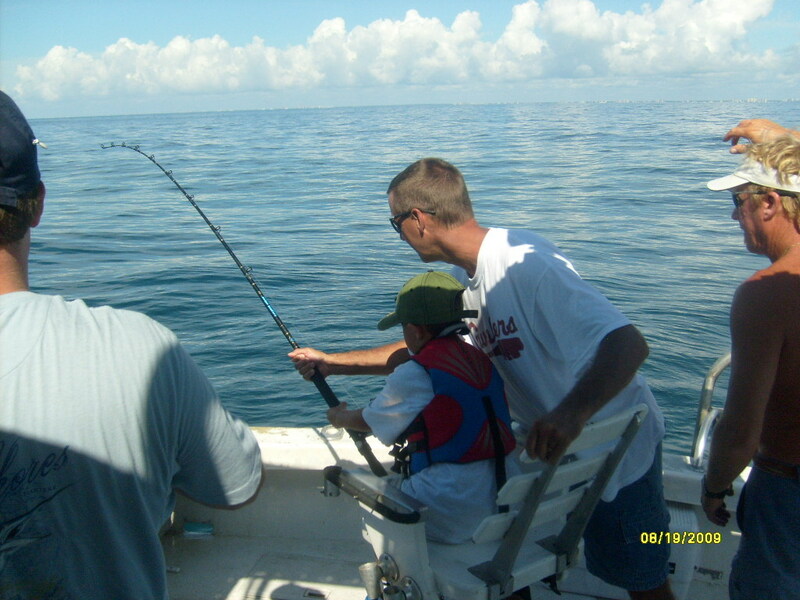 Capt fish hook Jr in training. Sharks are back close to the beach now on 1/2 day trips. Good fun with kids. Sorry ive havent posted many pics the last few weeks.Been doing alot of 1/2 day trips for Spanish Mackeral and Sharks.The King Mackeral and Dolphin have slowed down but will pick back up in Sep. and Oct.
Today we had a good catch of Big Sea Bass on a 8 hr trip. 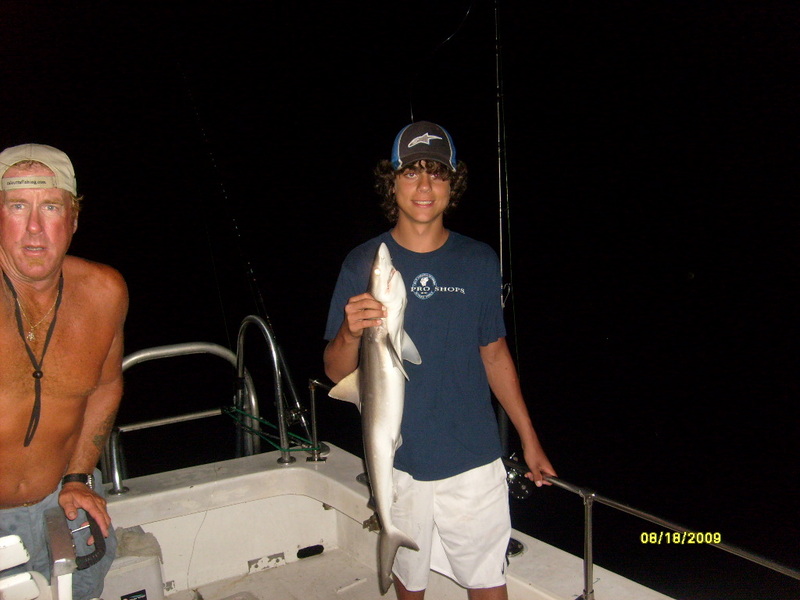 Sharks on night trip,they been bitting better at night this week. Caught alot of Spanish Mackeral today and one nice King Mackeral on 1/2 day trip.I get to go to the Gulf Stream this week on Tues and Thur. 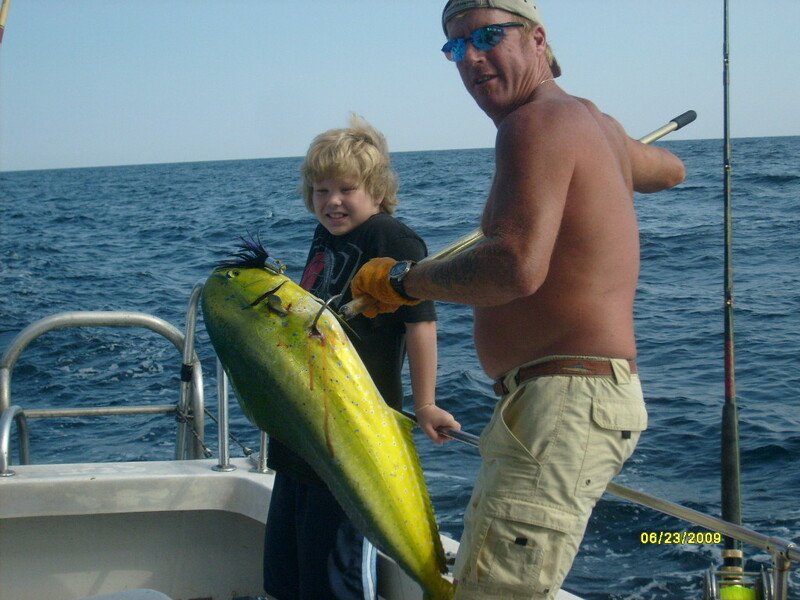 Hope to have some pics of Big Wahoo. 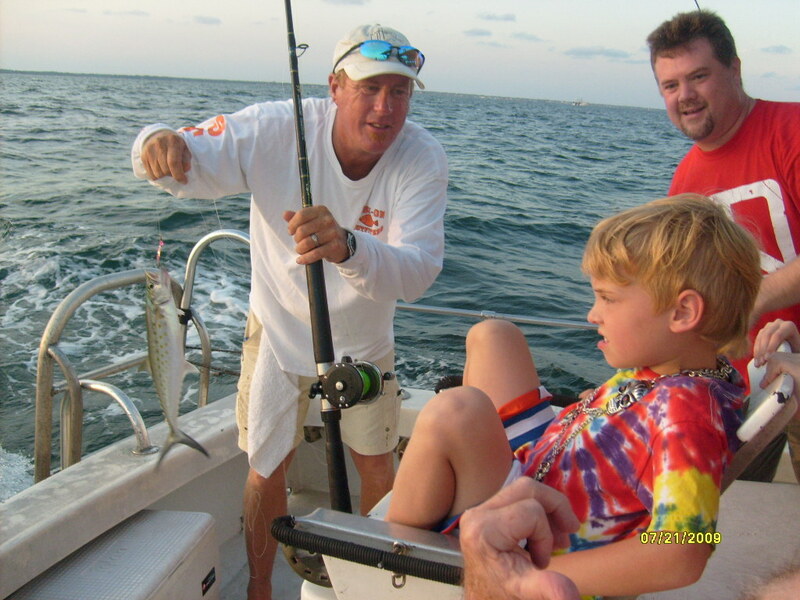 Gulf Stream trolling still slow today with a few Dolphin. Water today was 86, needs to drop down in the 70s for tuna and wahoo to be thick.This should happen soon. 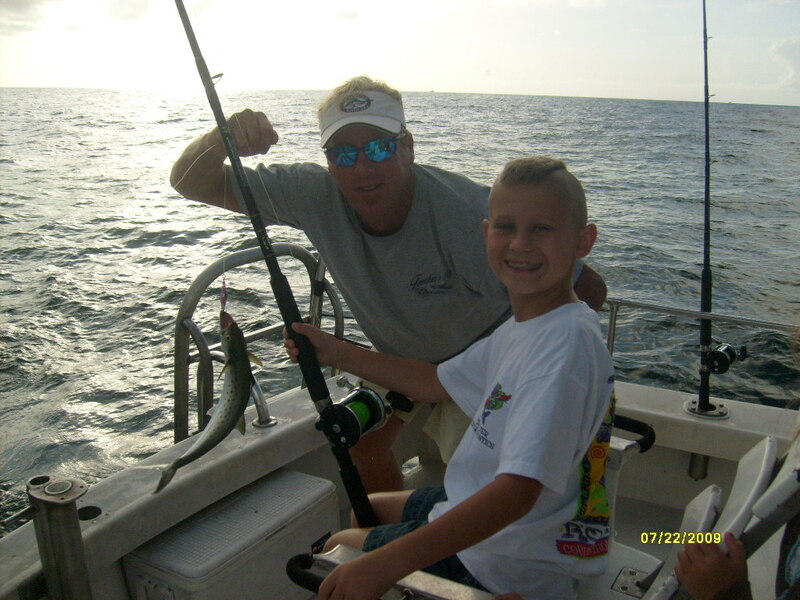 bottom fishing is too easy with good catches of Snapper and Grouper. 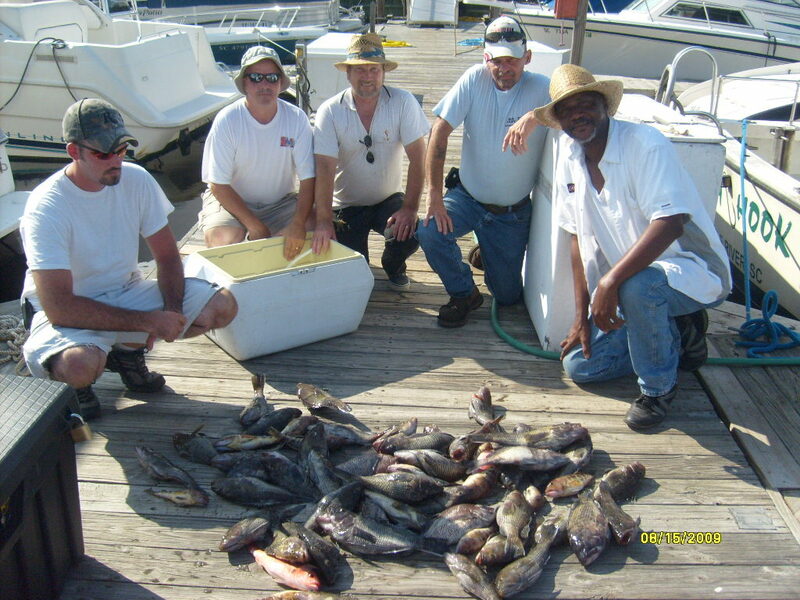 Nice catch of Sea Bass and Grey Snapper and Grouper today on 8 hr trip with group from Union S.C.
whey would you vote to end fishing for Grouper like this on and replace it with imported farmed fish full of antibiotics,that the American public dont know about.Wake up America!!!! Good Day today on 8 hr trip. 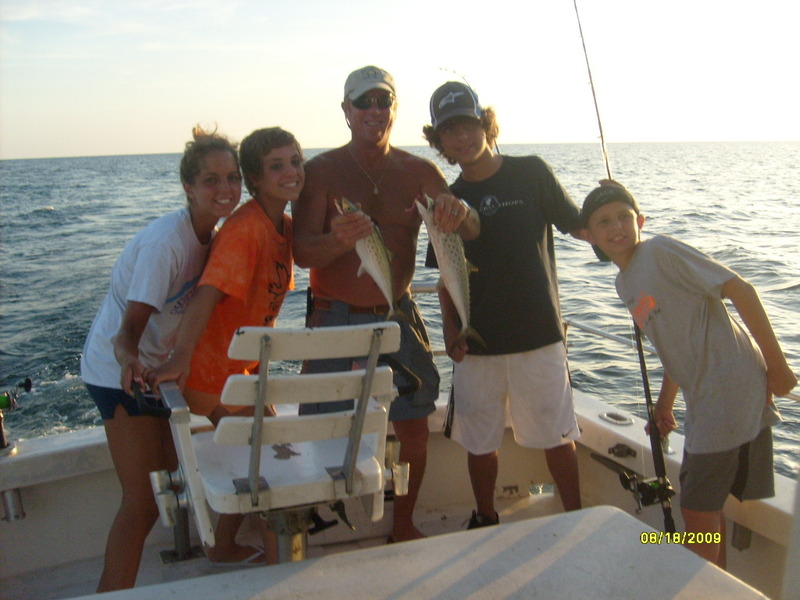 With Grouper and a big mean Cobia. Gags on the bite slow trolling this time of year.